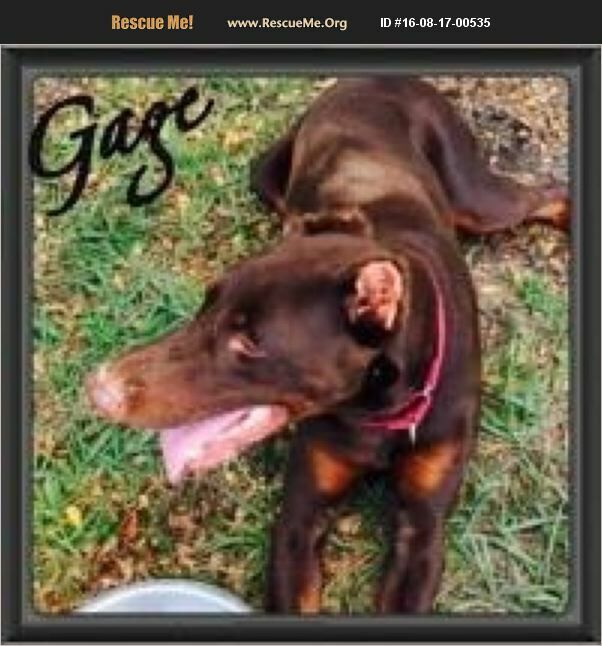 Florida Doberman Pinscher Rescue View other Doberman Pinschers for adoption. Cage came to us a few years ago due to his previous owner's child being allergic to him. At the time he was two years old. Cage lost his ears because after cropping they became infected and had to be removed. He is a very large, strong dog! He is very prey driven and can therefore not be in a home with cats or small animals. Cage is about 5 years old now (Jan 2018). He is a great dog for a Doberman savvy, pack leader personality. He is goofy and loving, but doesn't understand why he can't just jump up on you to get your attention, so we won't adopt him out to a home with young children. He has a lot of energy, so needs a fenced yard to get out his energy in positive ways. He is a diamond in the rough who just can't catch a break.